In a nutshell:A cool new French Patisserie & Boulangerie (Bakery) in Gurgaon – At last there is a Bakery where u eat & think ‘this is exactly what I have eaten in Europe / US’, in terms of the flavor, feel, taste, texture & everything else associated with a yummilicious experience. 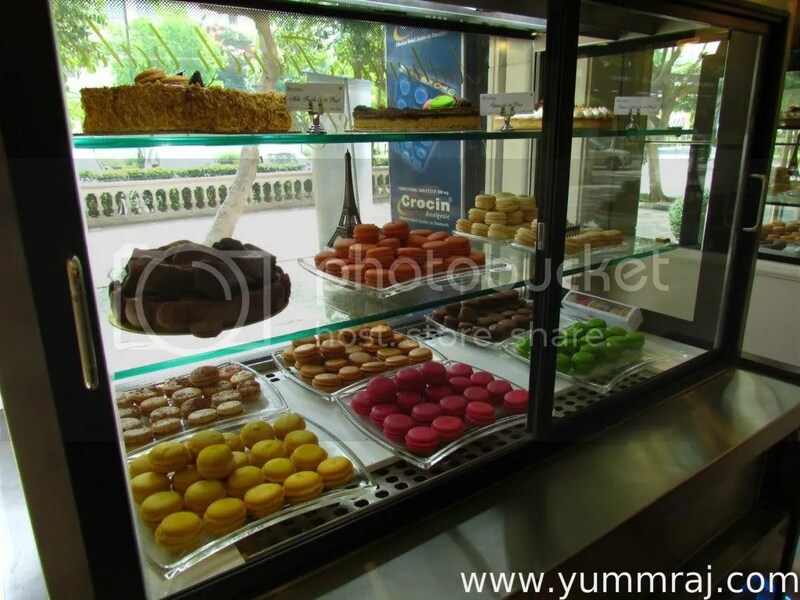 This little French Bakery Chain has 6 branches in Delhi as of now. 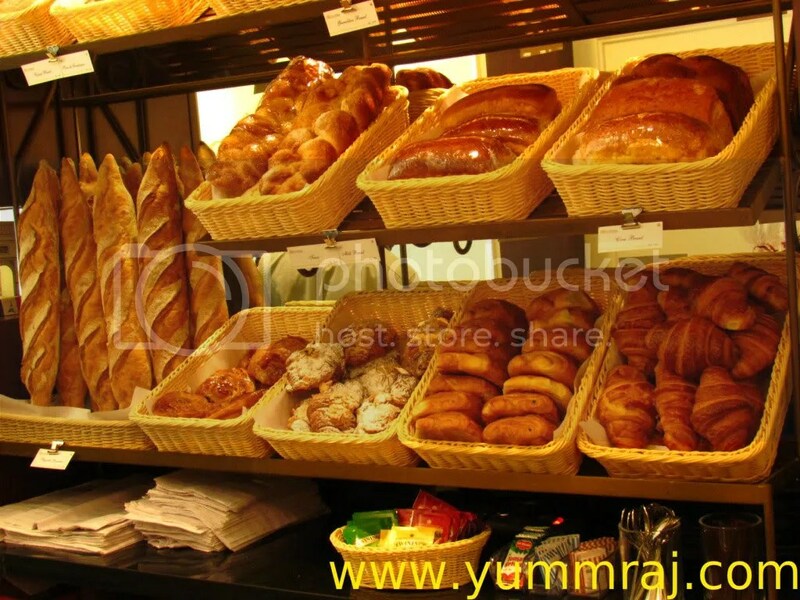 They have a french Chef who has surely brought around a point of difference in the Bakery options in Delhi NCR. We have always been to the khan Market one & were pleasantly surprised to see a new store open up in Gurgaon.One of those six shops is inside the French Consulate in Delhi as well & another is inside DLF Golf & Country Club, Gurgaon. 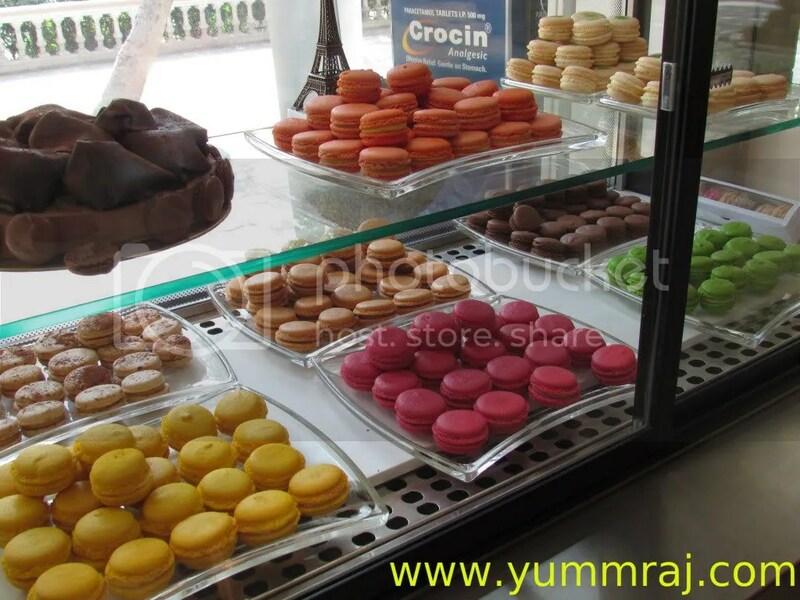 The stores in Khan Market & Galleria have similar layout – A beautiful ’glass & wood’ shop window in which large decorated cakes share the space with super colorful macarons & a tiny ‘Eiffel Tower’. 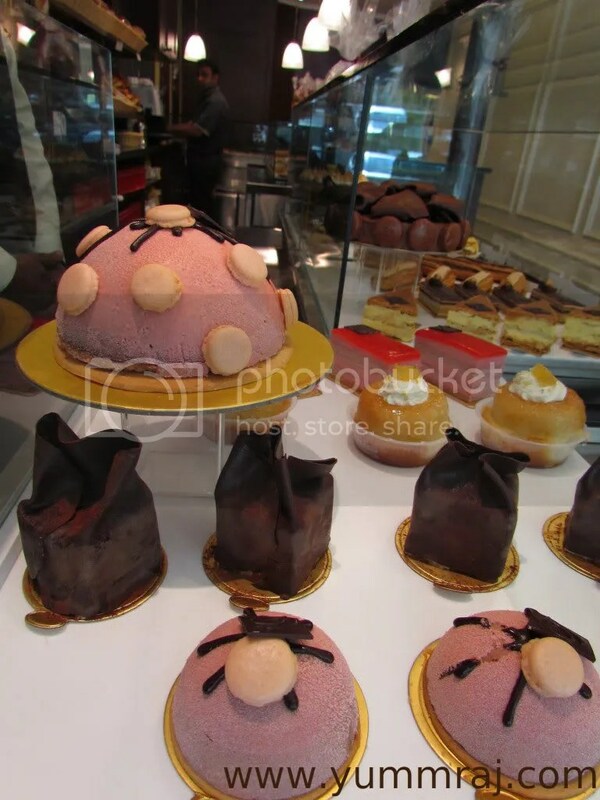 The large cakes have smaller versions inside the shop as well. As u enter the shop, u get a huge Glass display Counter for all items. 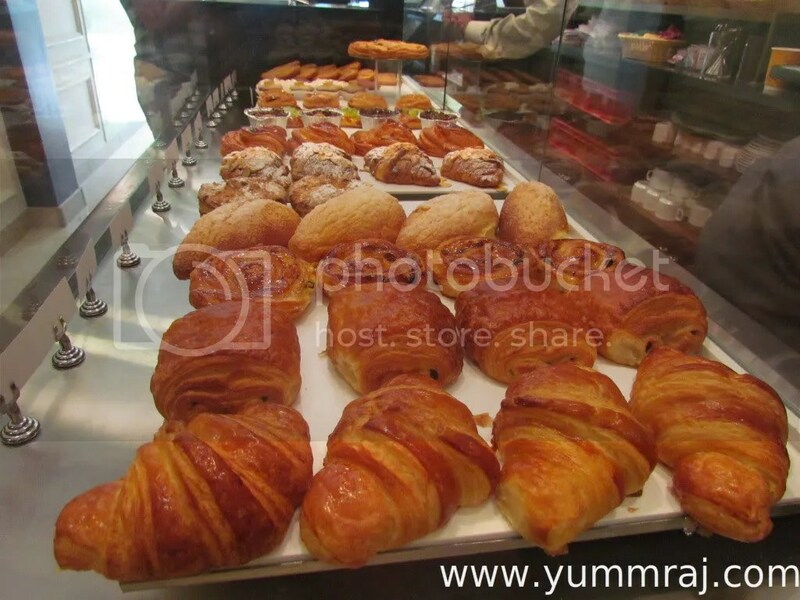 There r different sections for cakes, tarts, croissants, sandwiches & other baked items. A section of the wall has huge display of different kinds of breads & sandwiches. The Seating area is little & in the back-end of the shop. It has high stool seating around tables & I am sure u wud struggle for space in peak hours. 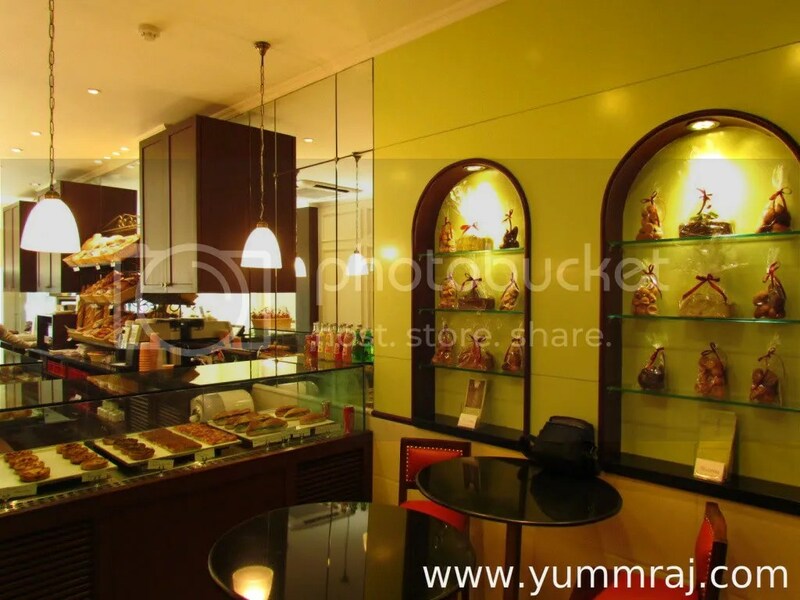 The interiors overall are very tastefully done & have a nice Classic bakery feel. Super Loved our breakfast here & all those things that we got packed post the breakfast. For breakfast we had some excellent Tuna Baguette Sandwich. They also serve Chicken, ham & veggie version of this. Even visually b4 we started off, the sandwich looked very enticing & yumm. The huge chunks of tuna looked good, nice, enticing & the bread also looked promising. As soon as we bit into it, the thoughts were confirmed. 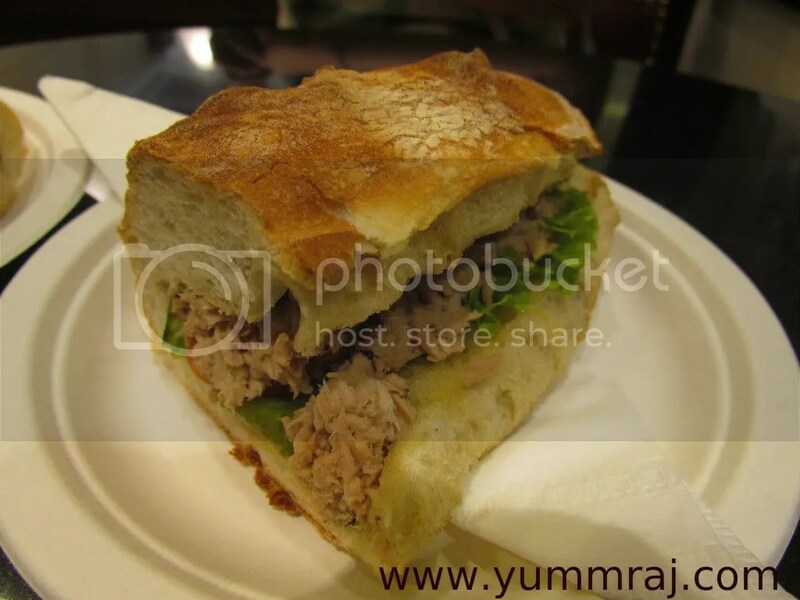 This was one of the best tuna sandwiches I have had in Delhi of late, leaving the top 5-star bakeries. In fact the tuna sandwich at L Opera was better than those in some 5-stars as well. It was simple, not overdone, not too many ingredients, had lots of tuna in it, had a base layer of green leaves & a little bit of olive oil. The bread had a crispy upper & a soft inner. The gentleman at the counter asked ‘do u want to heat it a little bit or eat just as it is?’ The mistake I made was to say ‘little bit’. In hindsight, upper top layer wud hv been crunchier & better if we wud have had it as it is. 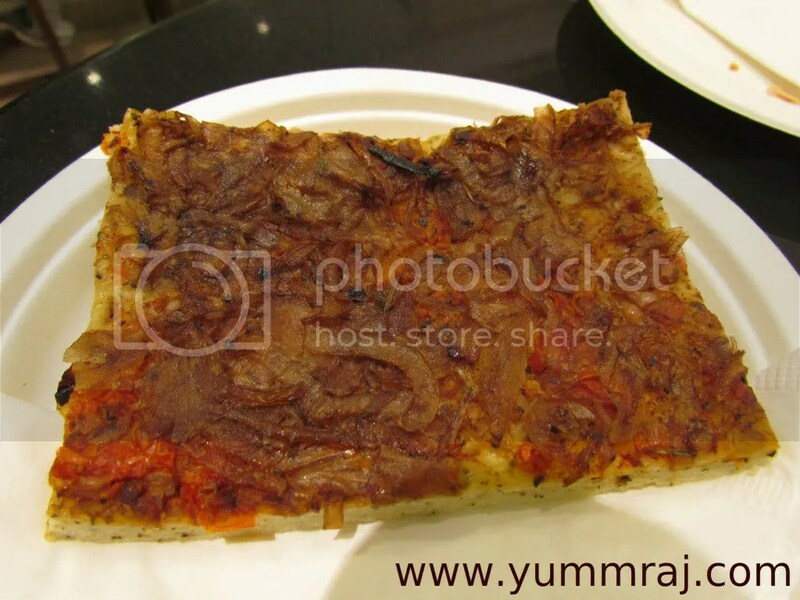 Onion pizza slice – interesting, different & nice. Obviously this was not a ‘pizza pizza’. It was actually a very interesting bread with the topping of onions, tomatoes, herbs & thankfully no cheese. I usually like cheese in pizzas but not loads of them, as is found in many pizzas (specially the American ones). Taste was good, the sweetness of the onions gave a slight ‘sweetish’ feel to the pizza. The Herbs got in flavor. The pizza was however a bit on the dry side. Overall, the pizza was good but not great. We also saw a tomato pizza on the same lines of the onion pizza. Will try next time. Next was a lemon tart. As it is, I am fond of Lemon Tarts. I usually try this at all places. 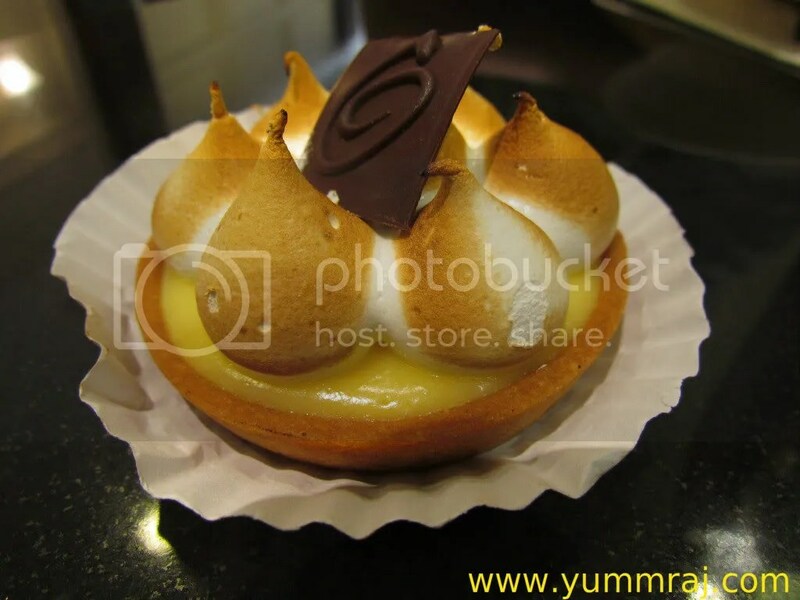 Some are on the sweeter side & some are more sour – generally lemon tarts in Delhi are strong on taste. This one at L Opera was very balanced. The yellow colored tart filling was not too sour & not too sweet. Beautifully laid out fluffy cream further balanced the taste, to the extent that my foodie companion who usually does not like lemon tarts due to their strong taste also liked it & said that she wants to have this again!!!!! & I was not really surpised. 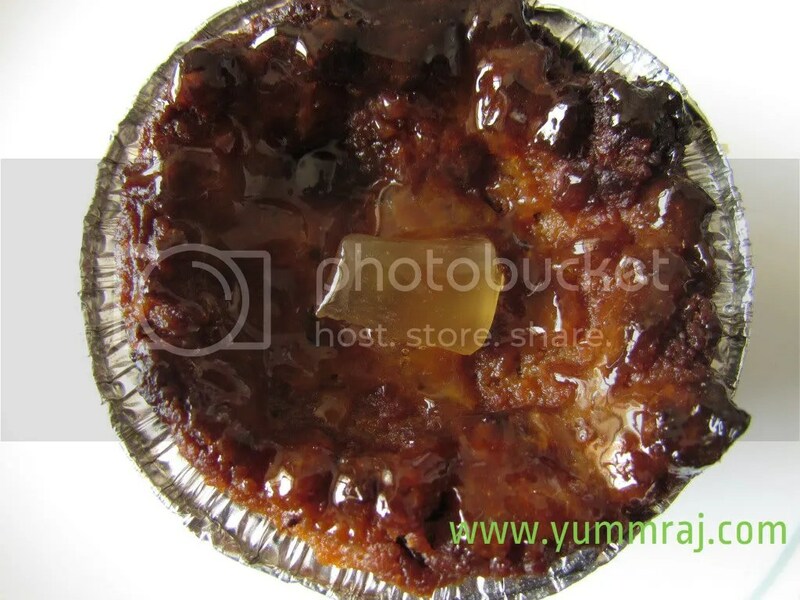 The base of the tart was flaky, had millions of layers in it, tasted mildly sweet & relatively more salty & tasted too good. Loved the tart & will have again. 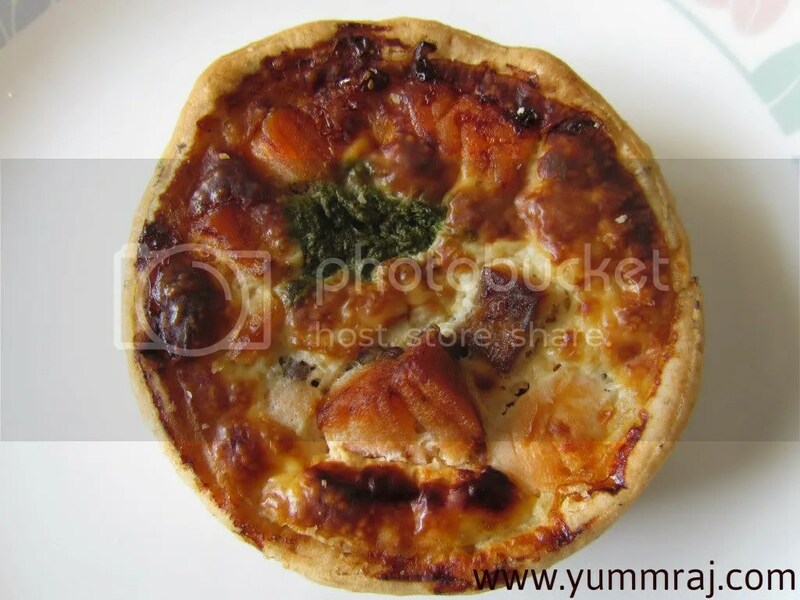 Salmon Quiche had a flaky layery Quiche base with chunks of salmon in it. The beaten egg & cheese mix at the center was awesome. Loved it. 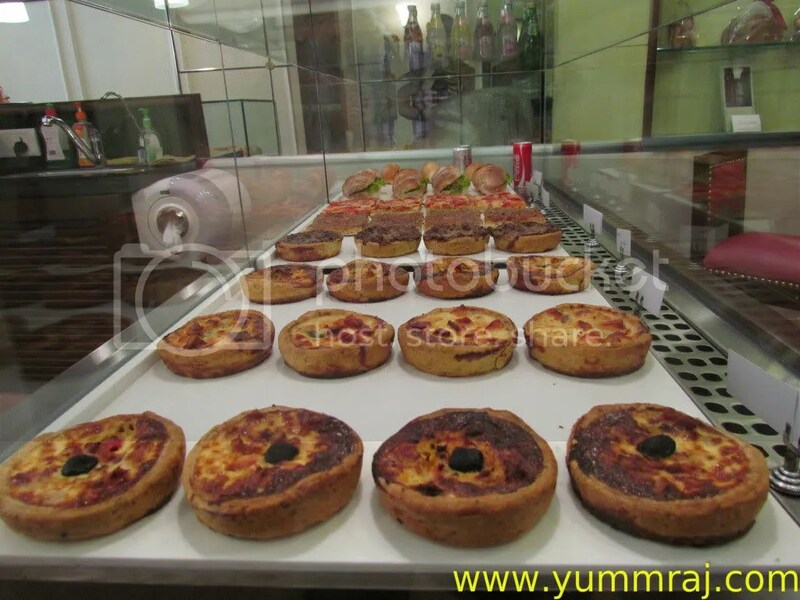 I surely wanna have it again:) Quiche is also available in Chicken & mushroom. The Almond croissant was marvellous. 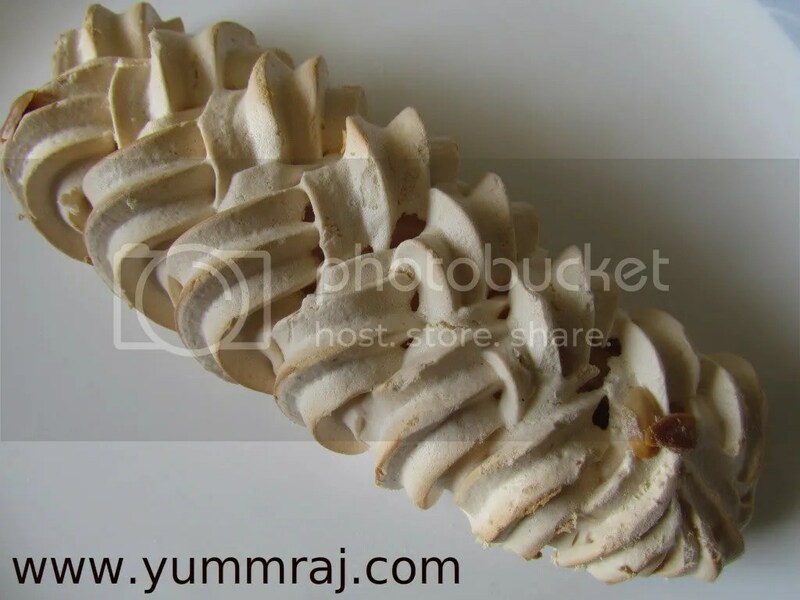 It had layers & layers of cover, crunchy on the top & soft towards the middle. 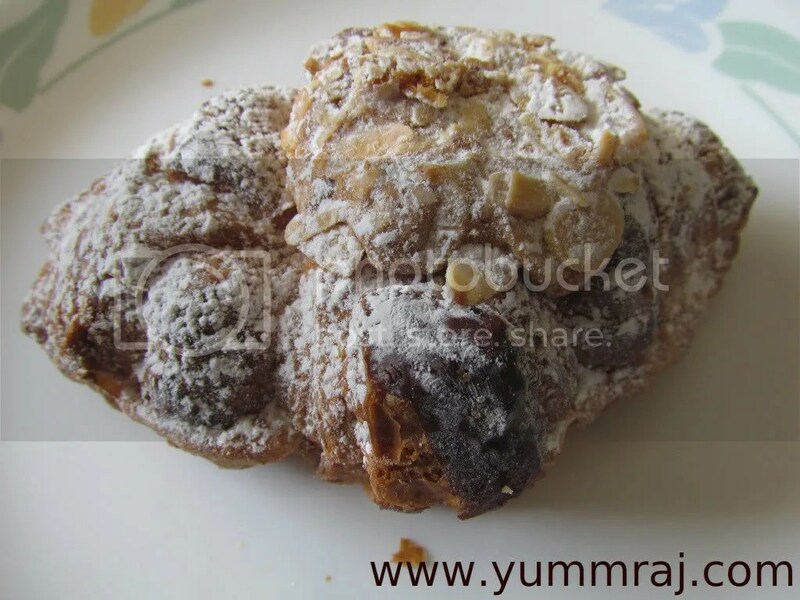 In the center of the croissant was a yellow colored grainy almond paste that was outstanding. 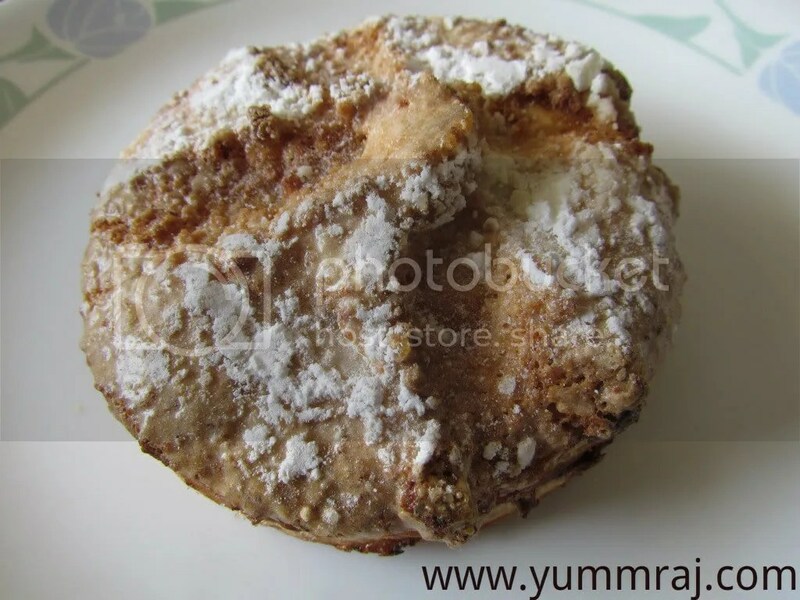 The castor sugar strewn on the top added to the look but not as much to the taste of the croissant. The ‘Pudding’ came in a disposable cup, topped with a fruity gel. The top was super glazed visually & gave no idea of how the inside wud be. It turned out to be different than the usual soft egg based pudding that we r used to in India. It was soft within, had a strong taste that was different than anything I have had before. The top layer had an interesting mildly burnt feel. I quite liked it but cannot vouch that everyone will like it. A sweet item called ‘Conversation’ – orange flavored Almond paste inside & layers & layers of outer covers. So good to taste that ur conversation will stop & u will b lost in ‘conversation’. We also bought Meringue. As good as it can get. Loved this place & will keep visiting. Its different that I will strictly have to walk for at least 5 km per day to balance thecalories – if I eat often in this place. 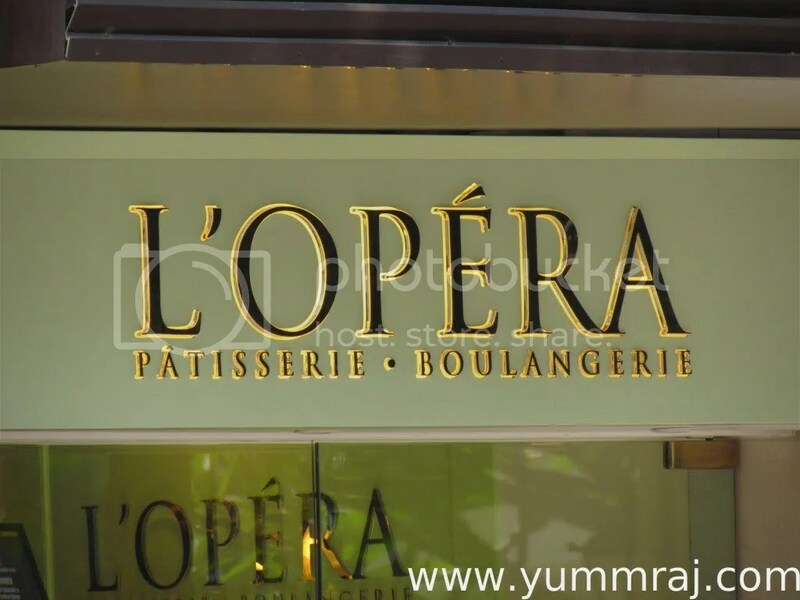 L’Opera – the name itself is a guarantee for the taste!! !